Penny Villegas grew up in Illinois but after marriage to Francisco, moved to Medellin Colombia. Ten years later, she and Francisco went with their children to Columbia, Missouri where she finished a Masters in English. She's been a writer, a teacher, a mom, a gram, and a peace activist for many years. Every semester is different, but the phone number and the e-mail stay the same. I am in Amnesty International meetings every Tuesday from 1:00-2:00. We work for human rights around the world. Don’t ask what love can make or do! Look at the colors of the world. The River water moving in all rivers at once. The truth that lives in Sham’s face. 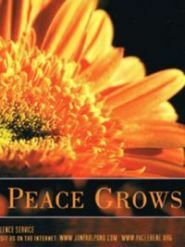 --We're planning peace works including a Give-Away of books and a mock Woodstock with music and lolling on the hillside. We will join our fellow clubs to serve a meal to the Coalition for the Homeless.